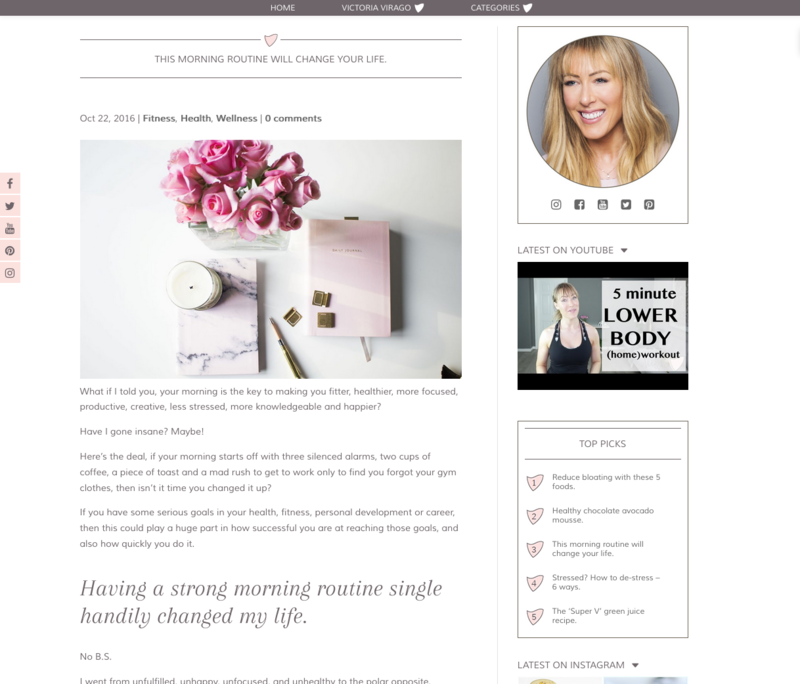 Victoria Marshall approached Reform asking for help in creating a website centred on her health, fitness and wellness blog. Victoria Virago is both a blog and an alter-ego for Victoria Marshall – her business is very much a reflection of her personality and how she connects with people. It is about inspiring and empowering women like herself to help them feel better through making lifestyle choices, particularly to do with diet and exercise. 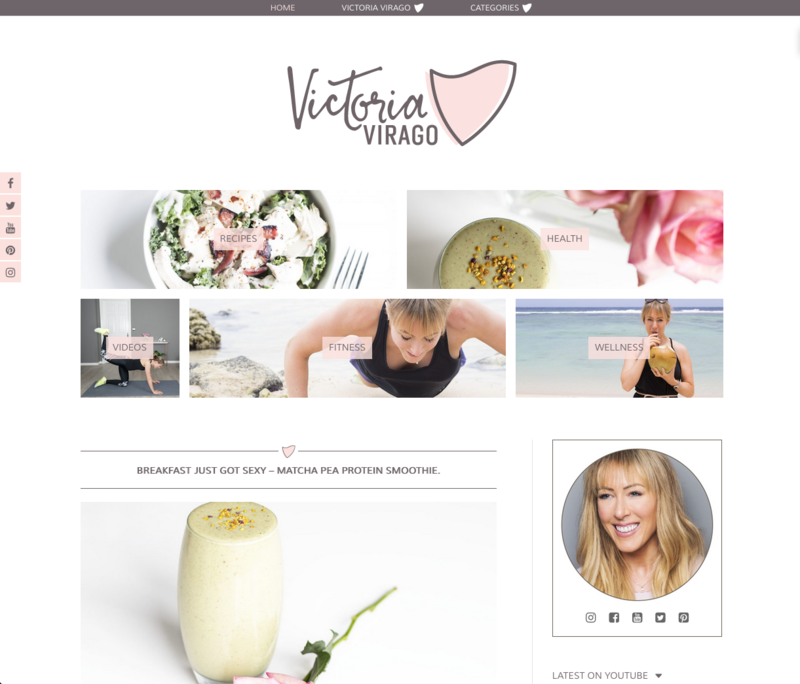 Though the business was centred on Victoria’s blogs and YouTube channel, it required a clear identity and brand, expressed through a distinctive online presence. Many online ventures face the leap from being solely self-powered into something designed to have wider appeal. With Victoria Virago it was very much about maintaining a real sense of character that would underpin the whole thing. Striking a balance between informality and functionality would key when considering how to approach this – ensuring that Victoria Virago was approachable but also appeared sufficiently professional and authoritative. Victoria has a clear tone of voice, so it was a case of refining this in terms of how the web pages worked, and maintaining its consistency throughout. On the one hand, the Victoria Virago site is very simple and direct, on the other, simplicity is actually quite hard to achieve, because it’s always about keeping things de-cluttered, even when a conversational tone of voice is involved. We used a light colour palate, with pastel pink tones, offset by the bold informality of the Victoria Virago logo. In terms of site navigation, It was important that visitors would easily be able to access the various areas without feeling overcome by choice. It was also crucial that the video blogging aspect of Victoria’s business was properly integrated into the overall site design and function. The end result is something that retains all the freshness of a dynamic blog but combines this with the functionality of an online digital lifestyle magazine. 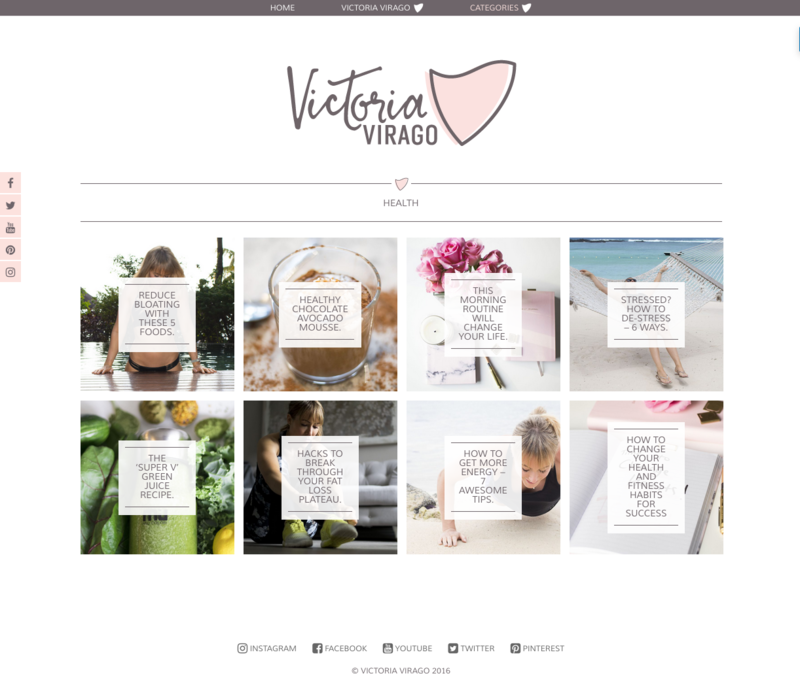 The site’s success depended on us being able to give a professional context to the personal aspect of Victoria Virago while emphasising the engaging and empathic nature of Victoria’s approach.